Shantae: Half-Genie Hero, the game will takes cues from Metroid, Zelda and Castlevania, and will feature an all-new art style and story. Like the Metroid-inspired Shantae and the Pirate’s Curse, it will feature an interconnected world. In our story, Shantae is roused from a deep sleep, suddenly alert. She plunges into the moonlit forest in search of answers. In nearby Scuttle Town she discovers a mysterious trapdoor, and beyond that, a luminous subterranean cavern. A familiar voice calls out, drawing Shantae to a beautiful fountain. Touching its waters she is immediately spirited away to the fabled Genie Realm. At her feet a magical seal swells as some powerful evil seeks escape. The chamber trembles with a deep, bellowing roar and everything goes white. Shantae sits upright, back in her bed. Was it just a dream? Or a vision of things to come? As the player it's your job to find the source of this new evil power and banish it once and for all. The story is doled out in CHAPTERS, with each chapter introducing new subplots, friends & foes, a new Transformation to discover, puzzles to solve, hazards to overcome, and a Boss to conquer. Revisiting past chapters with newly acquired abilities will unlock the next set of paths, powers & plot-lines. 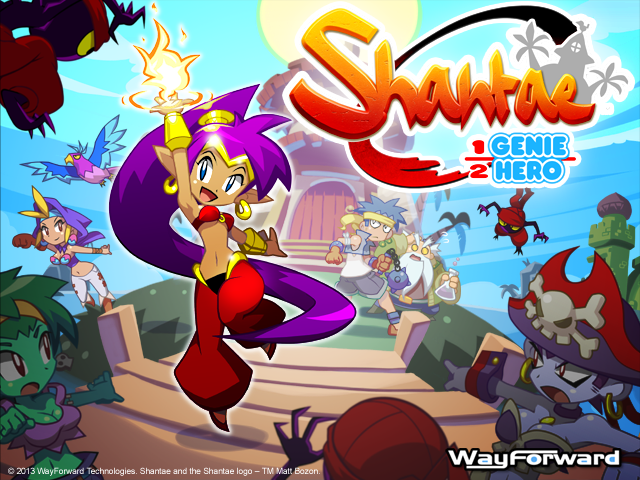 The latest series by Wayforward and will be on all Console platforms including the next-gen ones! - Only the first post may link to a Kickstarter project and may be posted only as a reference. - Do not make comments to encourage others to support or ignore the project in question. - If you decide to support the project, do not make posts about that. - Do not derail the conversation by talking about the fund rasing itself, nor try to "rush" people into it by discussing the deadline of each project. Last edited by videoman190; 2013-09-11 at 16:58. Guidelines included in the first post. Comments that do not follow this will be deleted. Seems pretty cool. And on a related note, the Risky's Revenge Greenlight has gone through. The song they had in the trailer was pretty catchy to. And WayForward has announced the planned release of that title to the 3DS' eShop this winter (GameInformer.com article). 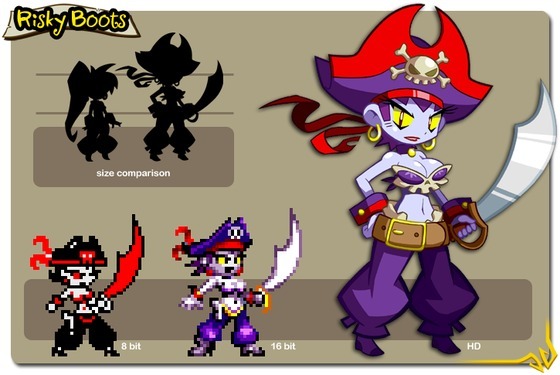 So Warforward listened to complaints that Shantae was too pale. WayForward has confirmed that the available platforms will now include Vita and Vita TV. Last edited by Daniel E.; 2013-09-10 at 22:43. Reason: Only the first post may link to the project page! Some artwork/assets that got released in a fankit a couple days back. This looks pretty promising. Plus could always use this kind of game for my Vita. Apparently the people doing Mighty #9 (the people behind Megaman doing a spiritual sequel to it) are involved in the Shantae projects. Last edited by Daniel E.; 2013-09-18 at 14:00. I for one would be amused if they got together and created for each game a standalone 'crossover' segment (not a full 'act'; maybe a level or 2 capped by a boss) - that is, you'd see over in M9, in its native art style, a level and its assets you'd expect in HGH, and vice versa. Guys please read the guidelines on the first post and please stop linking to the project page on KS. So apparently Shantae Risky's Revenge is going to be free to play for awhile on iOS platforms for awhile. So anyone with a compatible device might want to give it a shot real quick. ...or maybe I got that backwards. Yes you did have it backwards somewhat. Shantae gets double the magic but receives twice the damage from attacks. Also, this is probably old news, but for reasons that cannot be specified this game is definitely going to be made and will be coming out. I'm absolutely in love with the theme song. That bass in the beginning is just bangin. I like the song also since it is being sung by Cristina Vee. She is one of my favorite voice actresses. The PayPal is still open for a few months to help fund the rest of the Stretch Goals. Of the 4 currently funded Stretch Goals which is the one are you, the reader(s), excited for? For me, it is the Costume Swap. 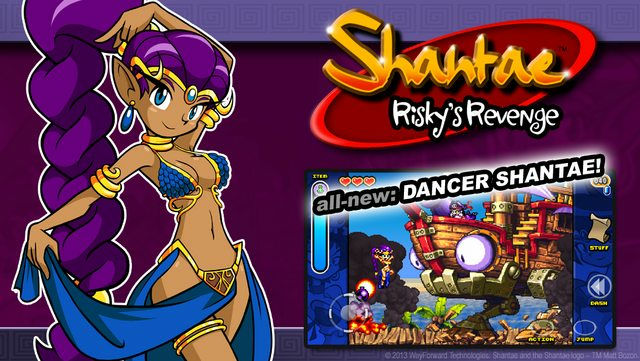 I would like to see how the Officer Wagon or the Ninja costume would play differently than normal default form of Shantae.